If you've ever been to Chicago, you'll have seen the Chicago River which winds through the city. There's bridges, tour boats and lots of scenic views. 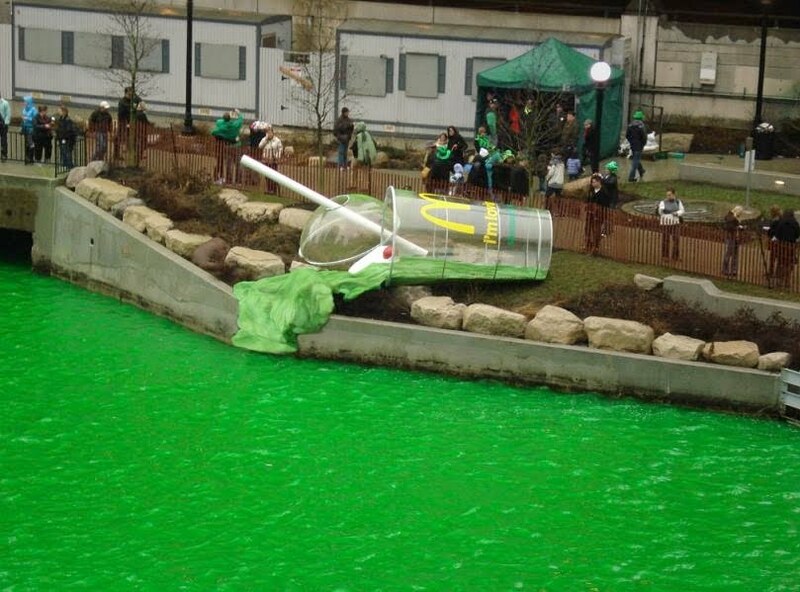 And the water gets turned green each year for St. Patrick's day. This year, the those global innovators Mcdonalds added a twist by placing a giant plastic Shamrock Shake cup alongside the river to make it appear as if the contents of the cup had spilled into the river. Sometimes it's the simple ideas that are the effective ones.